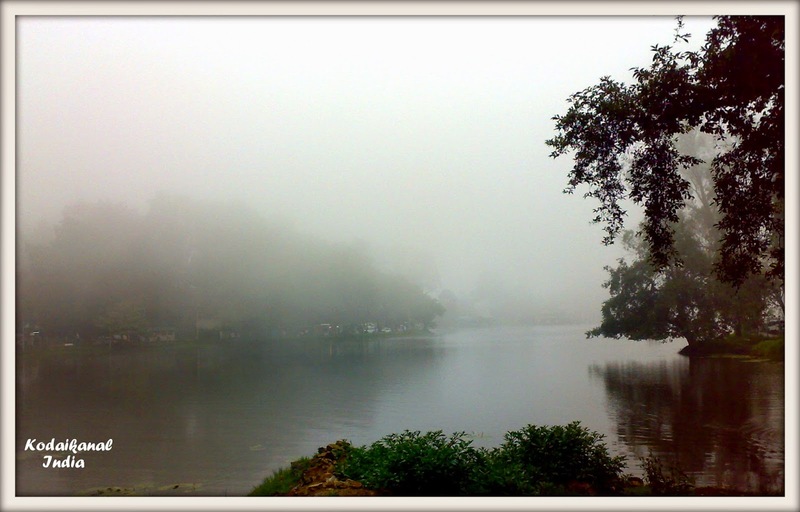 Nestled between velvety green hills is the beautiful and serene Kodaikanal, in the state of Tamil Nadu, India. I visited the place in 2010 with a bunch of my work colleagues. We had hired a bus from Chennai to reach the place. Those who live in Chennai would know how humid and unbearable the weather becomes in summer, but as soon as you reach Kodaikanal, the sudden drop in temperature leaves may surprised. Do pack a nice pair of warm clothes if you decide to visit the place. The below captures were taken at Dolphin's Nose. A steep trek of 1.5 to 2 km leads you to this stunning view point which is a famous tourist attraction. Afar I could see the mist rising between the mountains. And slowly the mist spread all across. 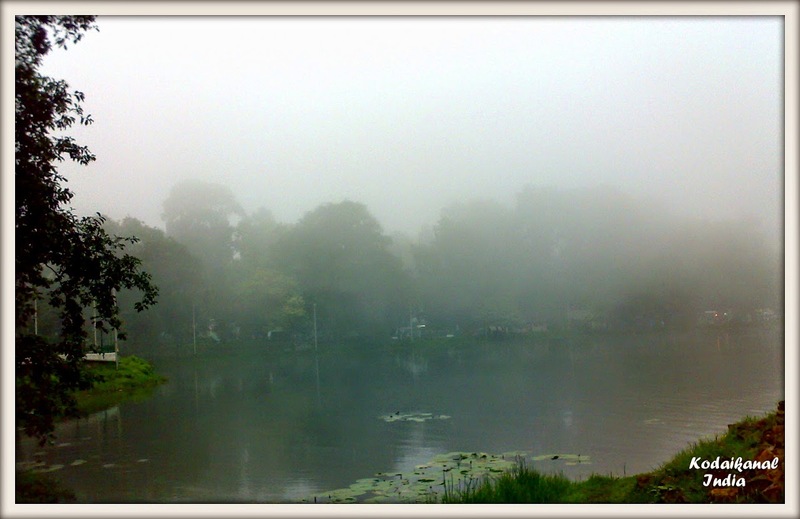 A soft blanket of fog covers the Kodaikanal Lake during early hours of the day. What wonderful scenery. Thanks for sharing. Now that's a magical spot and I can almost feel the coolness in the air! They are truly postcard-worthy pics! Chennai is beautiful!! Lovely photos! Wow! Such amazingly beautiful captures. Wish I was at this place now rather than at the hot and energy sapping humid Jpr! Wow, that is gorgeous! The rising mist reminds me of Cardrona ski field - the mist would slowly move up the mountain, and we knew it was lunchtime when we were below it :). Wow. That is really post card quality. Great pics, and the scenery is just divine...Loved this post. Absolutely beautiful! Warm greetings from Montreal, Canada.